Common Redpolls with Salmonella Frequented Bird Feeders across 13 Counties in 2013. Long Island, NY - February 27th, 2014 - In January and February 2013, the New York State Department of Environmental Conservation (DEC) confirmed infections with the bacteria Salmonella in common redpolls that frequented bird feeders across 13 counties. No confirmed cases have been identified to-date in 2014, however it is the time of year when DEC receives reports of dead common redpolls that became infected with Salmonella at bird feeders. Proper maintenance of bird feeders can help prevent disease transmission, particularly in these late winter months when songbirds are especially vulnerable. 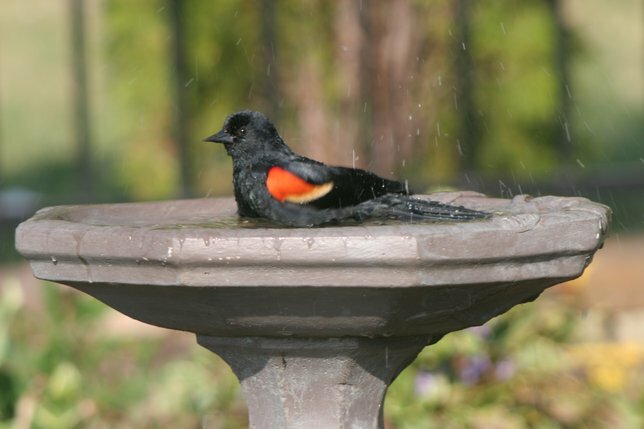 The Cornell Laboratory of Ornithology's Project Feeder Watch (link listed in the right column of this page) has a great deal of helpful information about feeding backyard birds. Subject: LongIsland.com - Your Name sent you Article details of "DEC: Emptying and Cleaning Feeders and Bird Baths Can Limit Spread of Disease"